This weekend 60 football clubs, including 12 in the Premier League, are supporting Amnesty's Football Welcomes initiative with a range of activities to celebrate the contribution of refugees to the game. Football Welcomes is now in its second year, and last year's inaugural event marked 80 years since the arrival in the UK of a group of child refugees from the Spanish Civil War who were evacuated to the UK after the bombing of Guernica on 26 April 1937. They went on to become some of the first refugees to play professional football in the UK. Just one of the activities staged across the country this weekend will be at Notts County, where for the past 18 months the club's community trust has hosted two weekly football sessions specifically for refugees and asylum seekers. 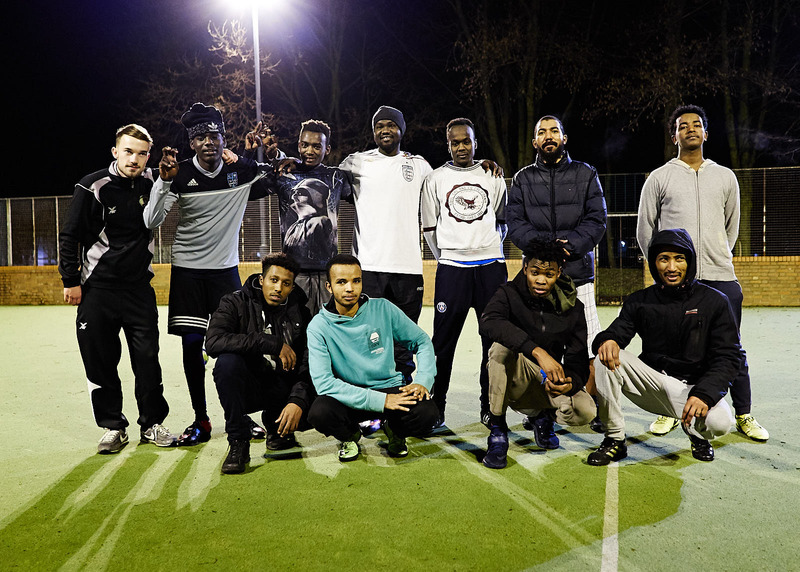 "The main objective is integrating them into the local community so they don't remain with the bubble of refugees and asylum seekers," James Lake, Notts County Football in the Community's Activity Support Manager, tells ConnectSport. "It's about offering them an opportunity of free sports activities that are not available for them elsewhere, giving them the chance to meet new people that are in a similar situation and forget about their struggles and problems they may have left behind." Partnerships with the British Red Cross, Nottingham Refugee Forum and City of Sanctuary are key to the club gaining access and knowledge about their target audience. The sessions, which will soon expand to three per week, attract participants who have arrived from over 20 countries including Syria, Sudan, Eritrea and Iraq. On Saturday, to mark Amnesty's FootballWelcomes celebration, Notts County will host a coaching session for refugees and asylum seekers, then take them on a tour of the stadium and give out tickets to the club's League Two home game with Yeovil Town. Across the country, further plans involve men's and women's professional clubs in the English and Scottish divisions, plus celebrity fans such as Keira Knightley, Dame Judi Dench, Kaiser Chiefs, Stephen Fry, Patrick Stewart, Ken Loach and Juliet Stevenson. In Norfolk, school children have sent questions to Norwich City midfielder Mario Vrančić for a video interview about his family’s experience of fleeing Bosnia when the Balkan conflict erupted in the early 90s. Sixty-one local schools and nearly 20,000 children are participating in ‘Norfolk Welcomes – Football Welcomes’ on Friday (April 20), when normal lessons will be suspended and the children will spend the day learning about migration to East Anglia and the role that football can play welcoming refugees.